Paul Mathur has kindly responded to us with his thoughts on the integration of Bitcoin in his new app AttaPoll. Paul Mathur is a graduate of the University of Glamorgan and set up AttaPoll with Karolis Pajeda. They have both worked in technology for over 10 years. Between them they’ve worked for big banks, management consultants and have built and sold a web business. Below is Paul’s thoughts and experiences with Bitcoin and the integration of it into his new app AttaPoll. Get Your First Bitcoin. One Question at a Time. 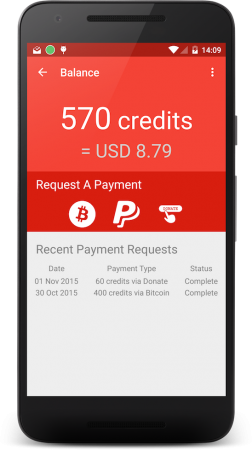 AttaPoll is an app we built in the autumn of 2015 that pays you Bitcoin to answer short surveys on your mobile phone. Bitcoin has been part of our app from the day we launched. But, we’ll get onto that in a moment. Why did we build the app? After the UK General Election in May 2015, despite endless daily polling and very carefully constructed, nationally-representative panels, no one really predicted the correct result. Although we didn’t have grand ambitions to become “Masters of the Political Polling Universe”, we did wonder whether a mobile app might be a better way to survey people on a wide variety of subjects. We wanted to see whether this method of surveying people could increase sample sizes, reduce the nonresponse rate, and get more accurate results. Oh yeah, and achieve all this at a reasonable cost. So what’s Bitcoin got to do with it? In an effort the encourage responses to our surveys we felt it was important to reward people that responded. A reward shows that their response is important and that their views are valuable. This is where Bitcoin fits in. 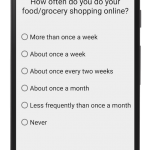 Bitcoin allows us to make micro-payments for answers to our surveys. Can you think of any other way to send thousands of sub-£1 payments, globally, in a cost effective manner? Before you think we’re cheapskates, our surveys are only one question long! Bitcoin also gives us the confidence that a payment we make is actually delivered. Once it’s on the block chain we can prove when we made the payment, how much it was worth and the address we sent the payment to. Being primarily a consumer-focussed app, we didn’t know how many of our users would know what Bitcoin was and what they could do with it. So we drank our own Kool-Aid, used our app, and surveyed our own users to see whether they had used Bitcoin before. Unsurprisingly, over 65% of our users had never used Bitcoin before. So we had to do something to lower the barrier to entry of getting started with Bitcoin. 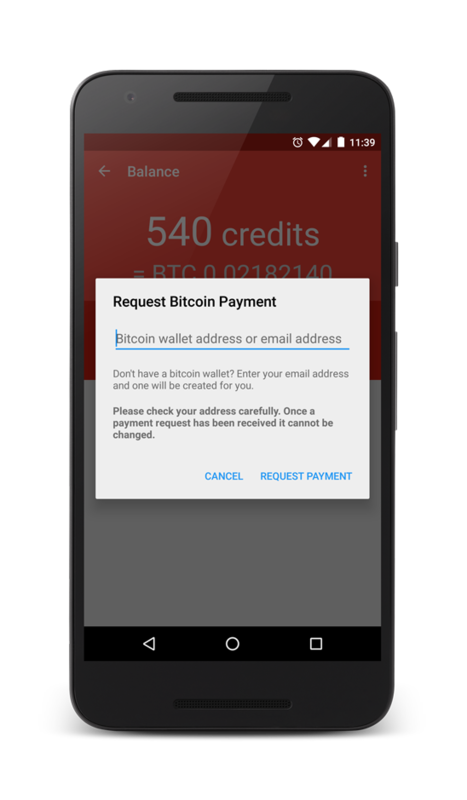 We knew that those 65% of users would struggle to choose and set up a Bitcoin wallet so we decided to help them get over that first hurdle. We integrated with Coinbase which allows us to send Bitcoin payments not just to a wallet address, but also to an email address. When Bitcoin is sent to an email address, Coinbase creates a wallet for the user. When the user clicks on a link to claim their Bitcoin, they are taken straight to their newly created wallet with our payment already credited to it. Although there are still challenges such as educating our users on where to spend their Bitcoin we think people will take more of an interest when they actually have their first few milli-Bitcoin. Another challenge we faced was managing our exposure to Bitcoin and its price fluctuations. We limit our exposure by keeping only a small “float” in Bitcoin and converting from fiat currency only when that float falls below a certain limit. We monitor our user’s earnings balances and can determine how much Bitcoin they could request at any point in time and keep a proportion of that amount in the float ready for instant payment. We top up the float by converting from fiat currency to Bitcoin from time to time. And finally, we were concerned by uncertainty about getting the app listed on Apple’s App Store. We had read stories about Apple’s App Store not taking too kindly to apps that paid out rewards in Bitcoin. Although these stories were just anecdotal, this along with the extended review times of getting an app approved, we felt our best bet was to launch on Android first to prove the concept. AttaPoll is available for Android and is listed in the Google Play Store. 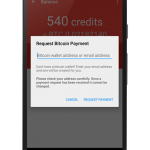 We are encouraging people to opt for payment in Bitcoin by having a low threshold at which they can request payment. But, not everyone is going to be convinced by Bitcoin straight away so we do offer the option of donating their earnings to a charity or waiting for a higher threshold and getting paid via PayPal. 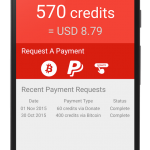 We are impressed by the fact that over 90% of our payments so far have been via Bitcoin. We are also encouraged by recent reports of games that pay rewards in Bitcoin being listed in Apple’s App Store. This has given us the confidence to continue the development of our iOS version, which we hope to launch in the coming months. Overall, these are early days, but it looks like mobile app based polling is a promising alternative (or addition) to traditional paper, phone and web-based methods and we remain committed to promoting the use of Bitcoin. Thanks for sharing in so much detail. Good luck with the AttaPoll app Paul.